Explore the numerous day-trip ideas around Sydney: Katoomba (Blue Mountains, The Three Sisters, & more) and Lincoln's Rock (in Blue Mountains National Park). 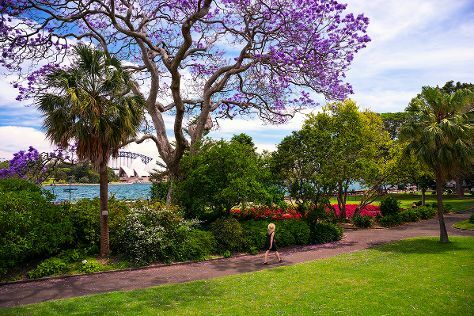 There's much more to do: admire the natural beauty at Royal Botanic Garden Sydney, take a stroll through Darling Harbour, kick back and relax at Bondi Beach, and stroll through Manly Beach. To see other places to visit, ratings, reviews, and other tourist information, use the Sydney road trip website . If you are flying in from Malaysia, the closest major airport is Sydney Kingsford Smith International Airport. In October, plan for daily highs up to 28°C, and evening lows to 17°C. Cap off your sightseeing on the 28th (Mon) early enough to travel back home.